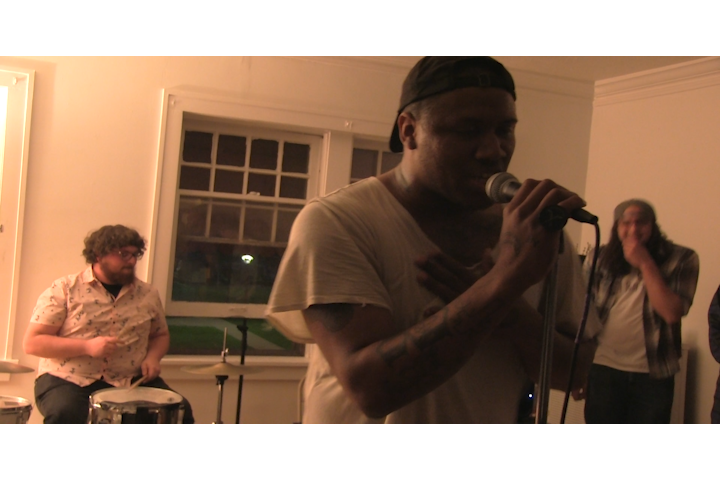 DIY music is a flourishing independent scene all over the country, and northeast Ohio is no exception. Conor Battles has the story on this unusual community and one of its leaders. Perhaps “stage” is an overstatement. Eliy Orcko is a rapper based out of Elyria. He’s been a part of the Cleveland DIY scene for years now, and his passion for this vibrant, tight-knit community of artists and outcasts is every bit as powerful as his music. The DIY ethos is defined by simplicity and individuality. 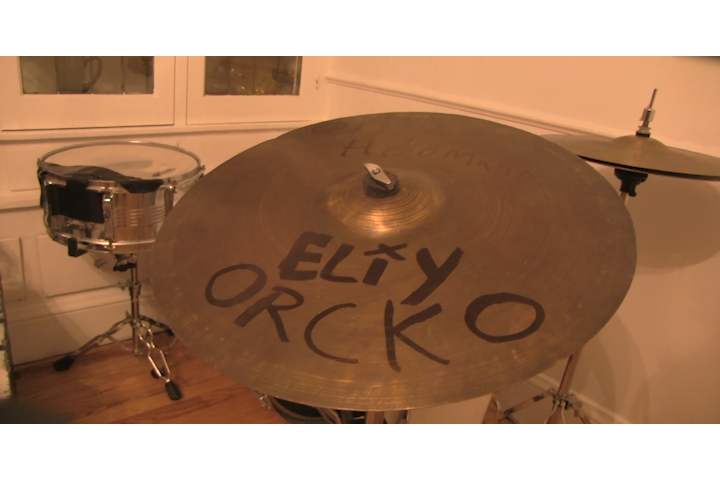 A cymbal with his name crudely drawn on with a Sharpie was all that counted for stage decoration during Eliy’s performance. DIY is a difficult thing to define, as it transcends all musical genres and lifestyles. The “do-it-yourself” instinct that informs the name of the movement speaks to its rugged, independent nature. The artists and attendees present at Mahall’s Saturday night view it as a community first — a haven for independent artists to pursue their dreams outside the control of the music industry. “[DIY is] one of the most amazing things I’ve ever been a part of,” Orcko’s drummer Darren Devrick said. The uninformed audience member might have been surprised to find that Orcko’s album was only available for purchase at the show as a limited-run custom cassette tape. Such unique, old-fashioned choices are a staple of DIY culture. 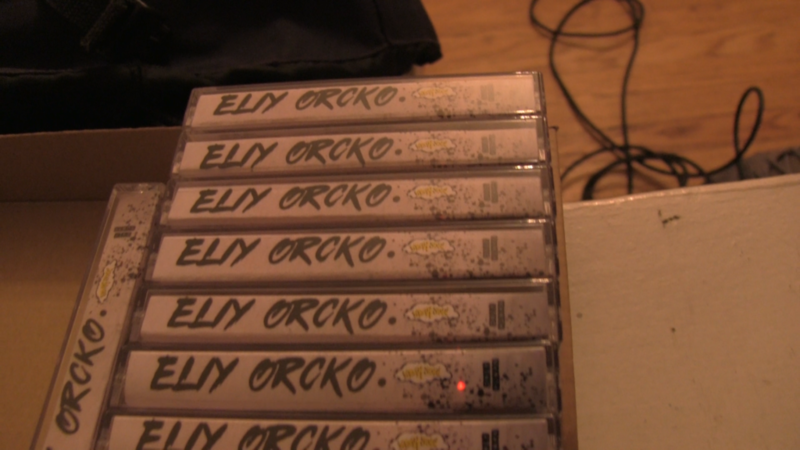 Copies of Eliy Orcko’s debut album, “Only Human,” were for sale on limited-run cassettes at the release party performance. “You don’t really expect tapes, I guess, as much,” Flowerpot Records CEO Wes Meadows said. Flowerpot is a popular DIY label in the Cleveland scene that releases everything from Eliy’s lo-fi underground hip-hop to punk and folk records. Cheap, simple and unusual are hallmarks of DIY culture. The scene is defined by its limitations and the creativity those limitations demand. Despite the hardships, members of the DIY scene are committed to their goals and to each other.